Wimmer Cemetery, once known as Wimmer Burying Ground, gained its name by the people who first used it as a burial place for deceased family members. Once it was a crumbling lot of tombstones long neglected due to lack of funding and attention, but now it has been transformed into a beautifully landscaped place where descendants can come show their respects each Memorial Day without having to wade through weeds and risk meeting snakes in the overgrowth. 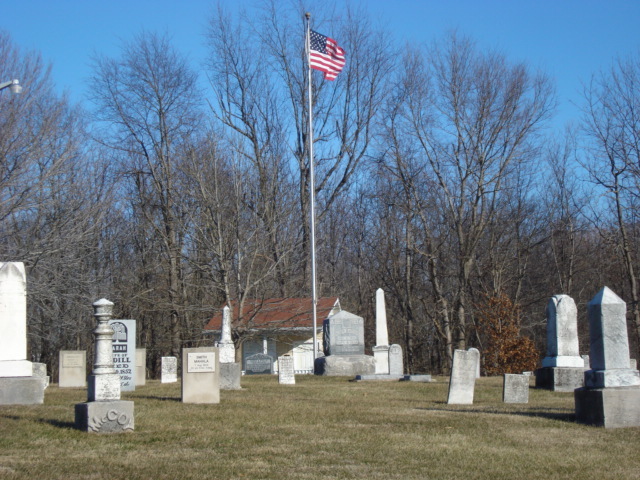 This small rural cemetery holds the remains of many former residents of Auburn Township.